Video game publisher, Rising Star Games, has announced that as of today, at retails across North America, you can pick up SteamWorld Dig 2 physically for your PS4 or Nintendo Switch. Image & Form developed the game and it’s received a lot of high praise since it’s digital release in 2017. 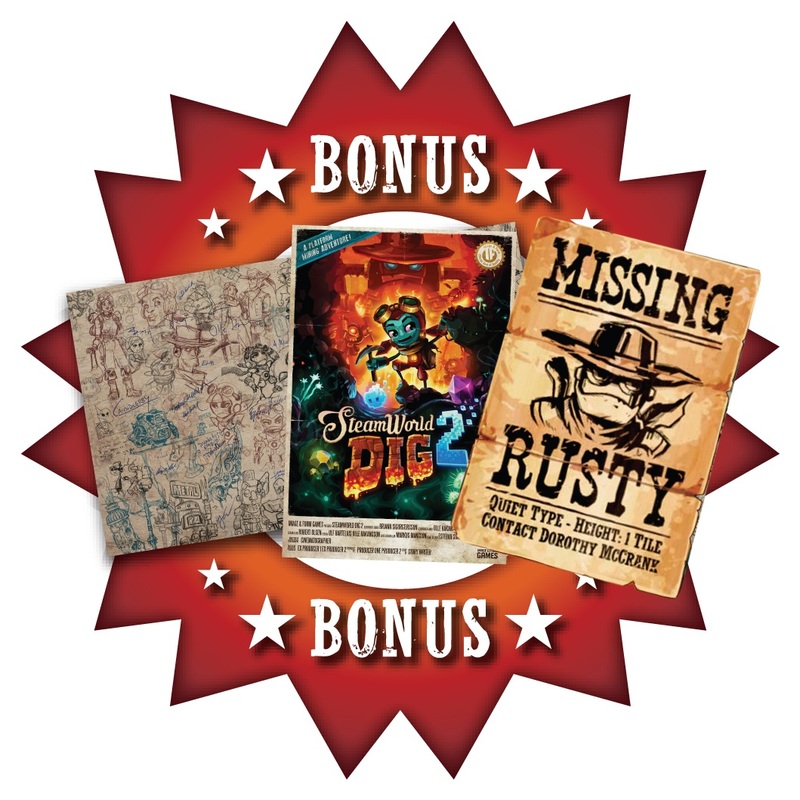 The physical boxed editions of SteamWorld Dig 2 come with an exclusive double-sided poster featuring artwork from the game, in addition to a reversible cover with never before seen artwork. Check out the new trailer down below.